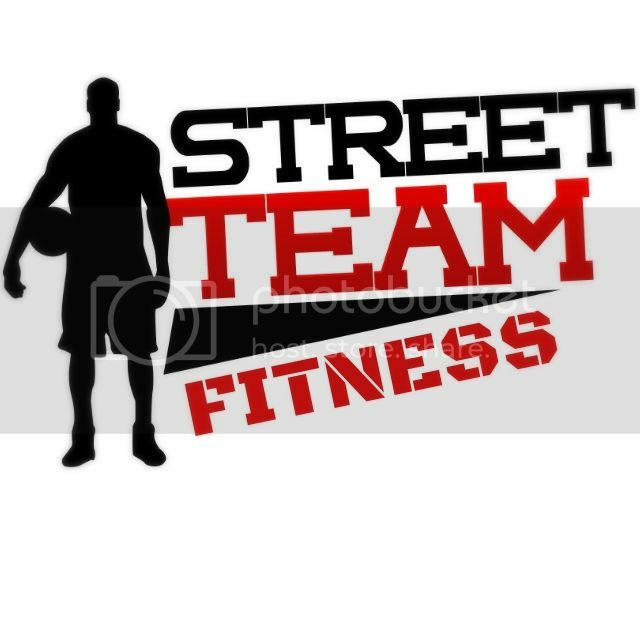 Jeremy Lin, it was announced on Saturday, will have surgery to repair a small tear in his meniscus on his left knee, and will miss approximately the next six weeks, thus ending his stunning, yet short lived 2012 regular season with the N.Y. Knicks. 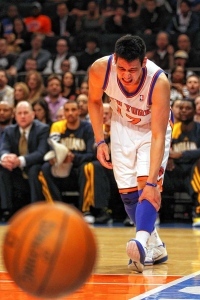 The regular season will end on April 26th, and at this point it would be doubtful, at best, that Lin would be able to join the Knicks unless they were to go deep into the playoffs and his expected recovery time is shortened. Given that Amare Stoudamire is also out for the next 2-4 weeks with a bulging disc in his back, it will make it that much more difficult for the Knicks to advance into the playoffs; should they get there. This Knicks team has been a regular *M*A*S*H* unit over the past week or so with Carmelo Anthony’s sore groin, Tyson Chandler’s sprained wrist and groin pain, Jared Jefferies injured knee, and Baron Davis who, in all seriousness, just might implode on the floor from a variety of assorted injuries including hamstring, calf, and back. As for Lin, these past six weeks or so have been grueling ones for the 23 year old who has been called upon to play high end minutes most nights, especially under ex-Knick coach Mike D’Antoni. However, one might question why someone who hasn’t played for a very long period of time and is the age that Lin is, would even have this type of injury in the first place. Only time will tell if he will end up having any chronic knee issues throughout his career. Meantime, the Knicks are hopeful that he will have successful surgery and return unscathed either in the playoffs this year or at the beginning of next season. It’s funny, until now, I haven’t heard Lin’s name for the last month at least. Yeah, lol, the ‘rage’ kinda subsided a bit more so since his knee began to bother him. Thanks for checking in Sam! I cannot imagine a longer 66 game season than the one these Knicks have played. Wow. 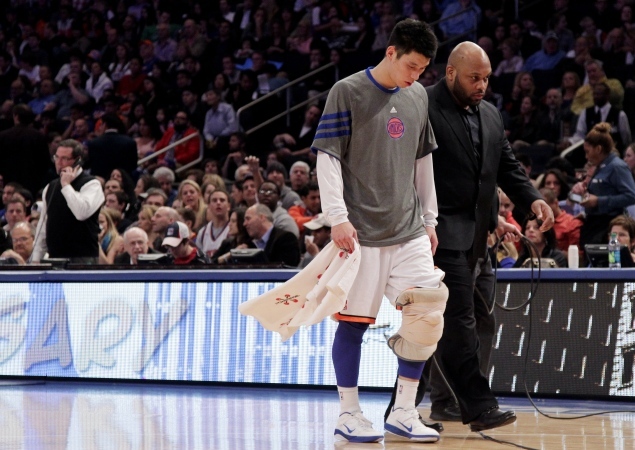 This pretty much marks the end to a very tumultuous season for the Knicks. Yes and no. Once the surgeons go in and see the extent of the arthritis on his knee it will determine how long he will need to rehabilitate the knee. There have been rumblings that Lin might make it back just in time for the playoffs (should they make it). So- to be continued…. His body wasn’t use to playing more than 3 minutes a game, haha.